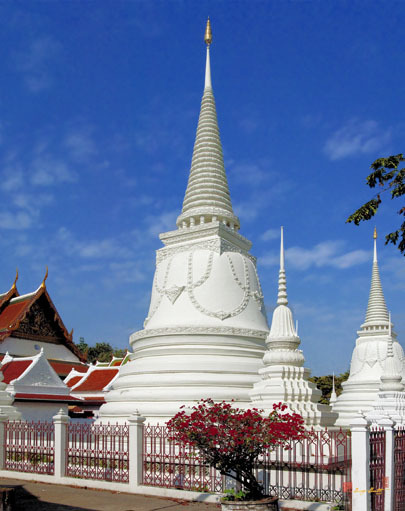 Wat Ratchasittharam Ratchaworawihan, วัดราชสิทธารามราชวรวิหาร, is a second class Royal Temple founded by King Rama I. 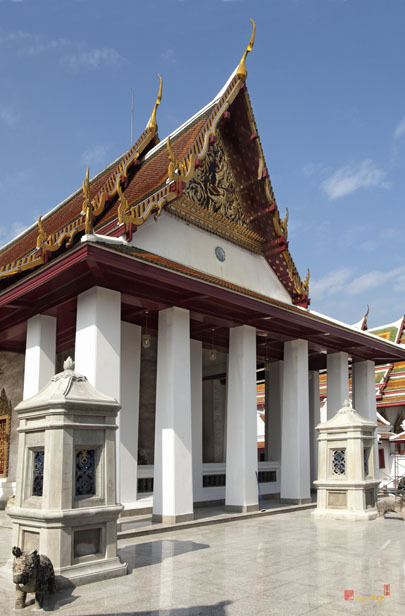 He built the new royal temple in the area of a more ancient temple named Wat Phlab and combined both into the same monastery. 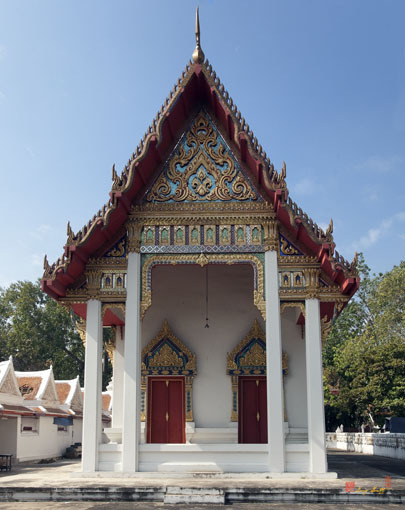 He also invited Phra Archan Suk (Kai Thuan) from Wat Tha Hoy, in Ayutthaya province, to reside in the new temple. 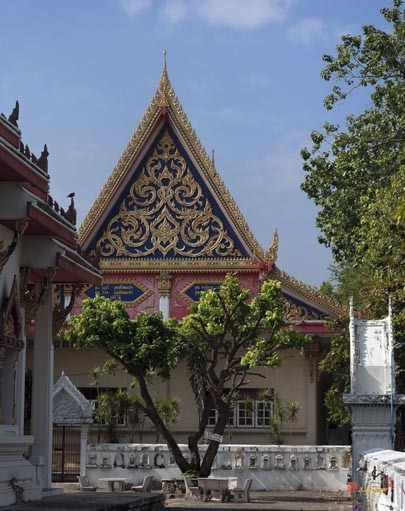 This temple was where Kings Rama II, III and IV studied Buddhist practices and meditation. 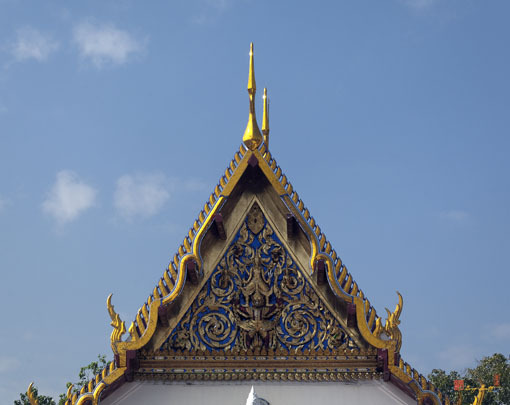 King Rama IV especially used to reside in the temple. Inside the monastery, there is a mural painting telling the stories of the Three Worlds, The Buddha's Life and Vessandara Jataka. 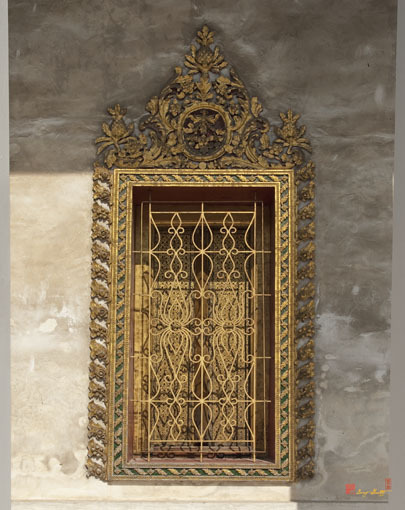 The outside wall depicts the scene of the Royal Barge Procession. Adapted from historical sign at Wat Ratchasittharam.